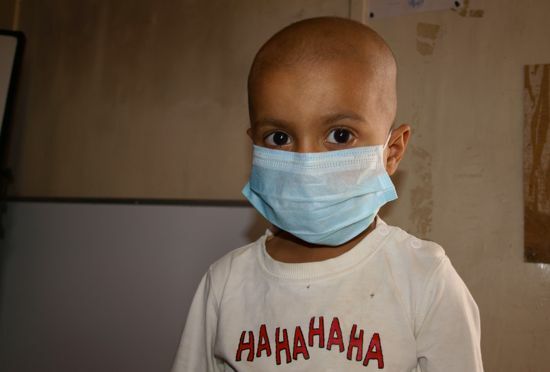 One among an unusually high number of children in Basra fighting leukaemia. Credit: Karlos Zurutuza/IPS. On Mar. 31 of that year, images of the dismembered bodies of four mercenaries from the U.S. group Blackwater hanging from a bridge circulated around the world. Al-Qaeda claimed the brutal action – and the local population paid the price for Operation Phantom Fury that followed. According to the Pentagon, this was the biggest urban battle since Hue (Vietnam, 1968). The first crackdown came in April 2004 but the worst was in November of that year. Random house-to- house checks gave way to intense night bombings. The Americans said they used white phosphorus “to illuminate targets at night.” But a group of Italian journalists soon gave documentary evidence that white phosphorus had been just another of the banned weapons used against civilians by the U.S. troops. The total number of victims is still unknown. In fact, many of them are not born yet. Abdulkadir Alrawi, a doctor at Fallujah hospital, is just back from examining an intriguing new case. “This girl was born with the Dandy Walker syndrome. Her brain is split in two and I doubt she’ll survive.” As he speaks, the lights go off again in the whole hospital. Samira Alaani, chief doctor at Fallujah hospital, took part in a study in close collaboration with the World Health Organisation. Several tests conducted in London point to unusually large amounts of uranium and mercury in the hair root of those affected. That could be the evidence linking the use of prohibited weapons to the extent of congenital problems in Fallujah. Other than the white phosphorus, many point to depleted uranium (DU), a radioactive element which, according to military engineers, significantly increases the penetration capacity of shells. DU is believed to have a life of 4.5 billion years, and it has been labelled the “silent murderer that never stops killing.” Several international organisations have called on NATO to investigate whether DU was also used during the Libyan war. This month the Iraqi Health Ministry, in close collaboration with the WHO, will launch its first study ever on congenital malformations in the governorates of Baghdad, Anbar, Thi Qar, Suleimania, Diala and Basra. Sandwiched between the borders of Iran and Kuwait, Basra sits above massive oil reserves. The population in this southernmost province has suffered fighting much more than any other region: from the war with Iran in the 1980s to the Gulf War in 1991 and the U.S.-led invasion in 2003. A study by the University of Baghdad pointed out that cases of birth defects had increased tenfold in Basra two years before the invasion in 2003. The trend is still on the rise. Basra Children’s Hospital, specialising in paediatric oncology, opened in 2010. Funded with U.S. capital, this facility was initiated by former U.S. first lady Laura Bush. But like the hospital in Fallujah, this supposedly state-of-the-art facility lacks basic equipment. “The X-ray machine spent over a year-and-a-half stored at Basra port due to an administrative dispute over who should pay port fees. Our children would die as they waited for radiotherapy treatment that did not come,” says Laith Shakr Al-Sailhi, father of a sick boy and director of the Children’s Cancer Association of Iraq. “The waiting list for treatment in Baghdad is endless and time is never on the side of the patients,” says Al- Sailhi from the barracks that host his NGO headquarters next to the hospital. “Besides, these children’s diseases also lead to economic ruin of their families. Those who can afford it pay up to 7,000 dollars in Syria or up to 12,000 dollars in Jordan for treatment. The cheapest option is Iran, with rates at an average of 5,000 dollars.